Hi everyone! 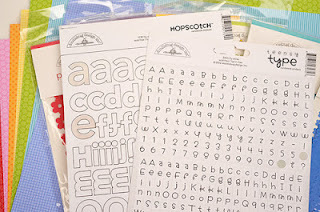 It’s Wendy Sue here today with a little tip for finding inspiration for your next layout. When you find yourself stumped for a scrapbook idea check out the cover of a scrapbook magazine! Magazine editors always choose the cream of the crop to feature on their covers – and the covers are always accessible from their websites. I found myself especially inspired by the cover of Scrapbook Trends magazine this month. 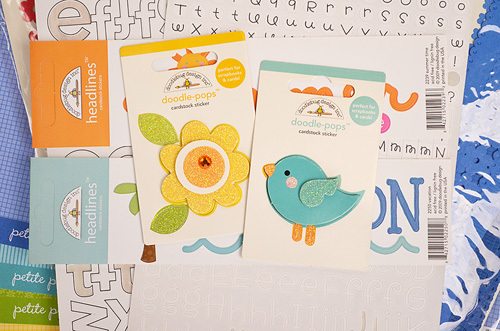 This bright, fun layout was created by Amy Heller. 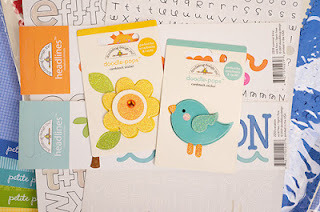 I loved the beautiful rainbow of colors and I knew it would be the perfect way to use Doodlebug products! Isn’t that cover layout by Amy Heller just so much fun? It just seems to exude happiness! At least I thought it did, and that’s why I wanted to create a layout based on Amy’s design. 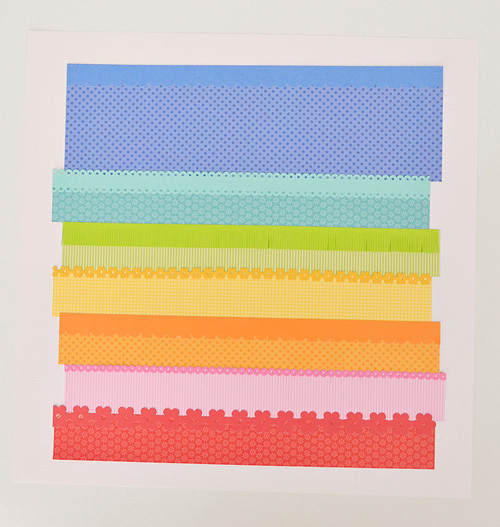 I cut strips from each paper – 1 1/4” x 10” – except the blue strip on top – it’s about 3” x 10”. Although my layout is almost an exact copy of the inspiration layout, there are lots of other ways to be inspired by the cover. 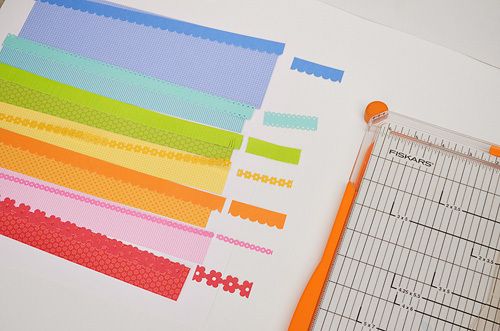 You could create a monochromatic background by using papers of the same color. You could turn the strips horizontal for a different effect. 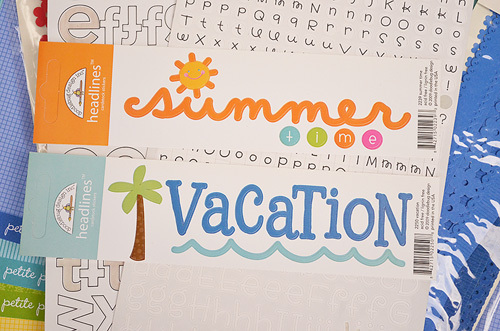 You could do wider or more narrow paper strips for a new look too. Truly, once you find a layout you love, you can likely find dozens of ways to be inspired by it! We are excite to partner with Scrapbook Trends/Northridge Publishing to offer today's giveaway. We'll be giving away two sets of the latest publications including the August Scrapbook Trends, Cards and Simply Handmade Sewing issues. One set will be given to a fan of Wendy Sue Anderson. Simply leave a comment on HER blog to be entered to win the first set. The second set we'll be giving away here on our blog. We would love to have you check out the Scrapbook Trends Facebook page to be inspired daily and then leave a comment here letting us know you did. Also feel free to leave some love for Wendy, she did a great job on today's tutorial. Checked out Scrapbook Trends facebook :D. Thanks for the chance to win these great magazines! How easy and cute. Just returned from vacation, wonder what I'm going to scrap lift. What a beautiful layout, the colors make me happy. Already a fan of SCT on Facebook. Love the layout. I have about three layouts that this idea will be perfect for. I like their facebook page so i went over and checked it out! Thanks for the chance to win!! Happy colors, indeed! I love this! 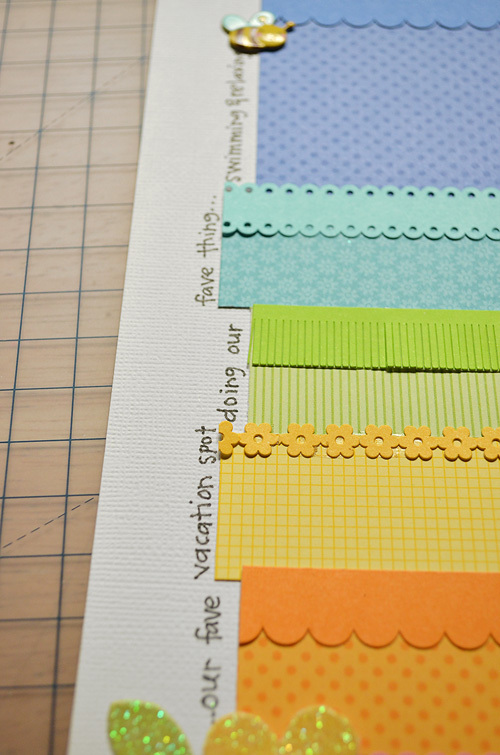 I love the rainbow layout *and* Scrapbook Trends. 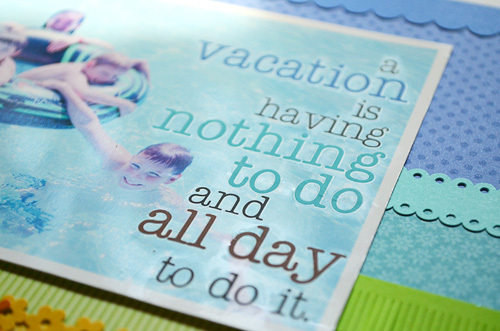 Love Scrapbook Trends and LOVE how this layout came together! wowsers! awesome page! thanks for the picture tutorial! so inspiring! 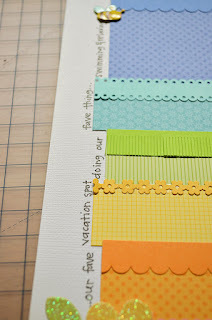 Liked Scrapbook Trends of Facebook...and love the bright layout! Great inspiration!! So cute....I will be makign that layout for sure!! :) thanks. Loving this page! It's bright, beautiful and looks like something that I could even do! Thanks so much for the chance to win! You are so organized. I start with a basic idea and add as I go along - probably waste a lot of time that way but it seems to work for me. I've been a fan of SBT FB page for a long time. Just checked out your cool fb page! Thanks for the chance to win! OOOOhhh!!!!! So many ideas! Now if I could just win that book! I chcecked out the FB page and the blog. 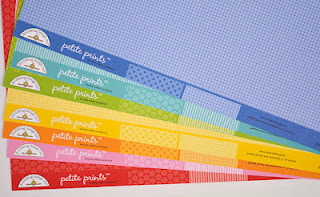 Love this - may scraplift! I absolutely LOVE your layout! Thanks for the chance to win! Scrapbook Trends actually sent me over- wonderful tutorial and results! Super cute and fun! Thanks for the ideas!! love all the colors, would love to do a layout with these designs! Love this page....I loved it when I got my magazine...thank for the tutorial...I am going to try it out!!!! 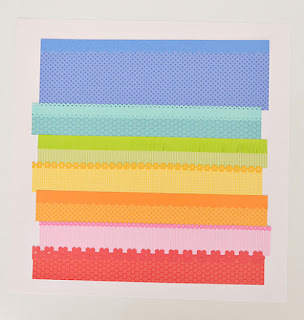 Scrapbook Trends sent me over!!! LOVE!!!! The layout is really wonderful & I love that you included the directions. I really like that it was mostly paper that you used & will be easy to adapt to another layout. I also love that the photo is the star of the layout! Great job. I would also love to win this great prize pack. Would so love to win, I visited your site, wish I had money to get the magazine. I'm also a fan of SCT...love their ideas! And what a cute layout idea! Thanks! I'm already a fan of your FB page :-) This layout is so awesome with all the bright colors ! This is an awesome layout so happy and bright!! I allready follow your fb page!!! Visited Wendy Sue Anderson's blog, and left a comment. Thanks for a chance to win. Awesome LO's and giveaway!! Will have to give that LO a try!! Checked out the page, very inspiring, thank you so much for a chance to win this fabulous magazine! I have a feeling it would come in very handy!! And great job Wendy for you tutorial.. Absolutely wonderful! Thank you for your hard work! Loved the layout! 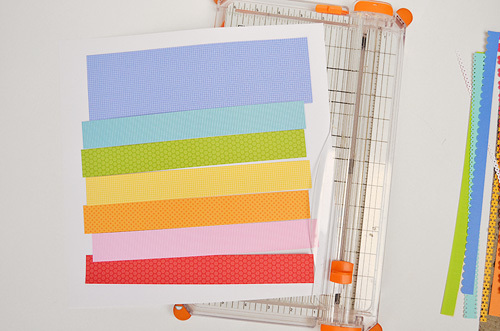 So colourful, so pretty, and easy instructions that I can follow. 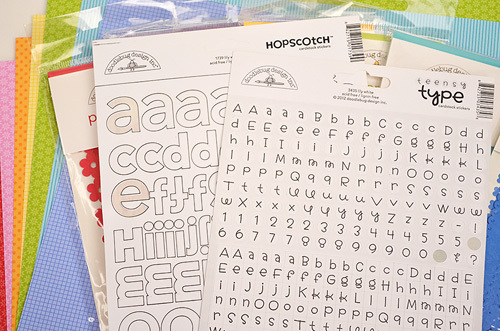 Thanks for sending me to Scrapbook Trends facebook page...I just "liked" them. Wendy's layout is going on my to-do list of projects. This will be perfect for our beach vacation. Her instructions were fantastic. Thanks for sharing your talent! 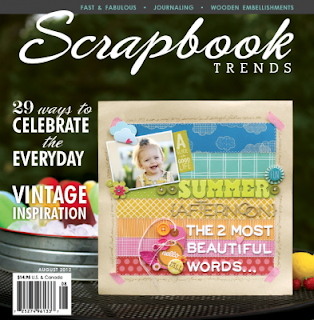 I'm also a happy follower of scrapbook trends mag on fb! Thanks again! 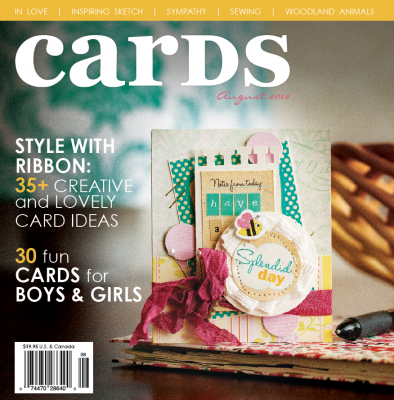 I follow Scrapbook Trends/Northridge Publishing and love these magazines! I love the look of your layout. Sure wish I could pull ideas like that out of my head. lol Thanks for the inspiration and the chance to win a great magazine. Wow I don't know why i wasn't a FB fan of Scrapbook trends but I am now. Love that layout... so simple. 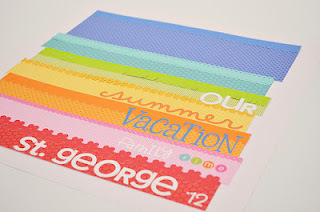 Have been a fan of Scrapbook Trends for a short time and Love It!!!. This is such a colorful page. I will have to do something like it soon! 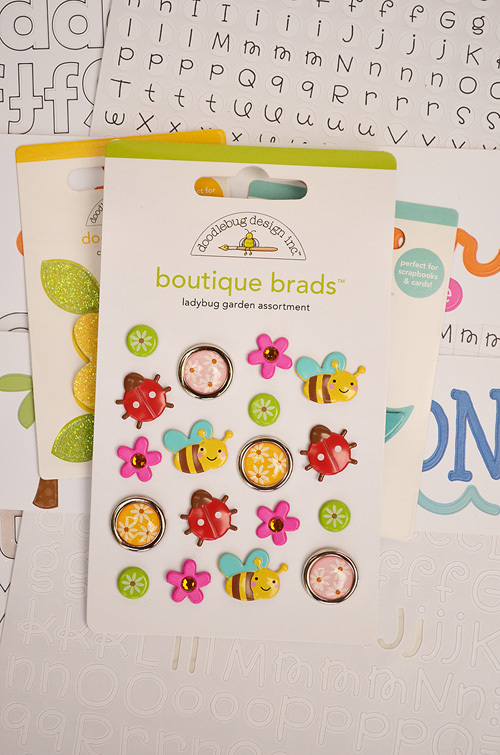 Doodlebug products seem great also! Been a fan of Scrapbook Trends for a while now. I'm thinking it's time to do some scraplifting! Thanks for the chance! 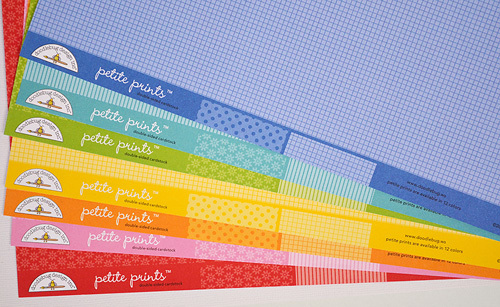 Love Petite Prints, I use them all the time! Love Scrapbook Trends and I'm a fan. Checked out Scrapbook Trends Facebook, and SO glad that I did. Thanks for the chance at winning such cool Prizes! I check out Scrapbook Trends every day on Facebook, and LOVE THEM! 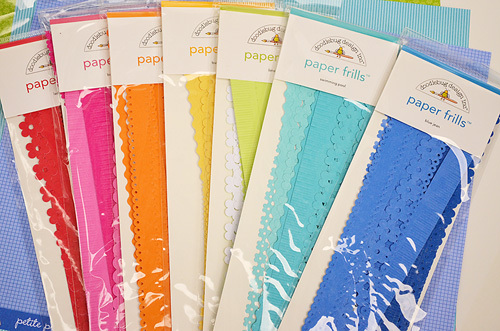 This is so cute using awesome product...I love those Paper Frills. I'm already a "like"-er of Scrapbook Trends' Facebook page. Very cool to see Doodlebug on their cover! Great idea! And love your LO. Already like the FB page - always checking it out for ideas and posts. Such a wonderful lift! Thanks for the chance to win! Soooo CUTE. Checked out Scrapbook Trends on FB. Awesome. Great giveaway. Thanks for the heads up on the contest! Would love to win! You did a fantastic job lifting this layout! It is just so happy and full of summer. Wow that layout is so great...love the rainbow effect...thanks for the tutorial. That layout is absolutely adorable!! Thank you for the chance to win Scrapbook Trends too. OHHH! What a fab tutorial! LOVE this project! I'm a fan of Scrapbook Trends on FB! I am also headed over to Wendy's blog! I LOVE this layout! 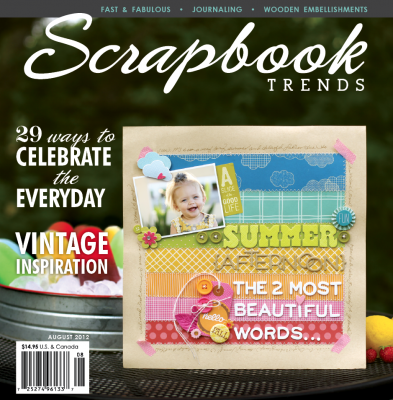 Scrapbook trends is an awesome magazine! I bought SB trends this month specifically for the cover layout. 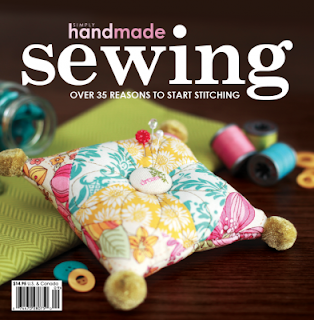 Wendy-Sue Anderson did a great job on her layout too! I love these layouts - definitely going to try that idea, thanks for the inspiration! Amy's layout is absolutely gorgeous and I love Wendy's layout just as much! Both are so colorful and really stands out! What fun reading for the end of summer evenings!! Gorgeous - so bright, vibrant and alive!